In this short essay, I will try to convince you of the importance of earthworms in thinking about politics. If this sounds like an argument, that is because it is. I first organized the materials in this essay to make a case. They were part of a public thesis ‘defense’ that took place in the small country of the Netherlands, a place where, at the culmination of a degree, a researcher will stand before a committee of fully-gowned academics who weigh the evidence presented and, in courtly fashion, bestow an official verdict. This forum, metonymic of much of Euro-American politics, presents truth in terms of a binary relation. There are rights and there are wrongs. Which is why it is important to say at the outset that even as I make an argument, spending time with worms and the scientists who work with them unsettles argumentative politics. What you will see is that the purpose of making a case may not be to be right, but to offer resources that we can use to metabolize and live with the world in alternative ways. Though I make an argument, I do not necessarily want you to agree. This is something I have learned by watching scientists who are watching earthworms. They have helped me to see how we might rework politics as usual, away from dreams of agreement and closer to the dirty and messy ongoings of compost. Living together has been the focus of Euro-American political theory: from its mythical Greek origins so-called modern society was constructed on the idea that politics is a way to organize social life. Accordingly, the state of nature is violence and war, but political structures and institutions bring order to mankind through a social contract, which stipulates an agreement between members of the society. Politics serves to regulate what is legitimate violence and what forms of violence are in breach of the social contract. Anthropology has complicated this view: going elsewhere, some Euro-American anthropologists pointed out that people in different places do different politics. What living together is about in places other than Euro-American ones messes with Euro-American categories. It turns out that social organization is not just about (Euro-American ideas of) agreement and rational discussions, but is equally informed by other systems of meanings and different ideas about the world and the cosmos. In a second and related maneuver, Euro-American anthropologists looked not outward but inward. 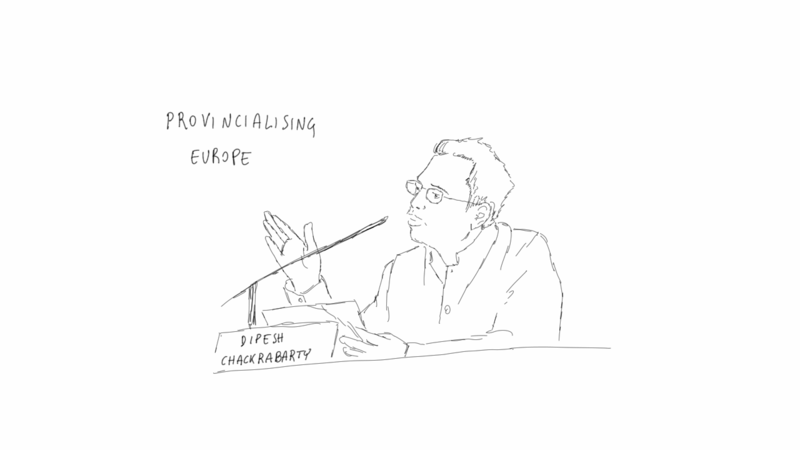 In doing so, they helped in the task of ‘provincializing Europe’: showing that what is often clumped together as ‘the West’ is not one thing. Even in the most familiar places politics are already done in many – often surprising – ways. Challenging this most recognized Euro-American way of doing politics is especially important today, as the limits of established Western democracies become more apparent — their violence morphing into novel neoliberal forms, spreading to engulf the planet and its ecological and geological entanglements. If we have managed to turn a blind eye to the structural injustices and inequalities of the political systems we live within until now, these have spread too far and are coming back at us, albeit unequally but nonetheless with a vengeance, through planetary forces. As the sea rises to flood ever vaster swaths of land, ecological disruption easily overcomes conceptual boundaries and categorical barricades erected by the West. The political as manufactured in and traded by Euro-America relied on agreement (and war upon those who disagreed). But this politics of agreement has structurally excluded nature from its equations. That realm was imagined as categorically separate from politics, ruled by its own ‘natural’ laws. Defining this was not a political task, but a scientific enterprise. Even anthropologists have struggled to overcome this dualism: when encountering ways of doing politics other than their own, mostly they have remained limited by Euro-American understandings of the human, pinned down onto one unitary world, with one true nature, and supposedly still disconnected from politics. It is to remedy the effects of such an expunction of the natural from the political that many scholars in the social sciences have begun to reconsider what nature is and what a politics of nature could be. It is in this context that worms can be of help. They have certainly not been the object of political theory or anthropology before. And yet they have held a crucial role in the natural sciences, and in particular, in ecological thinking. To see this, it is enough to remember that Darwin himself dedicated over 40 years of his life to the study of these invertebrates. Darwin published the results of these studies in 1881, in his last monograph, The formation of vegetable mould through the action of worms. There, he unraveled, with his usual meticulous attention, the crucial role of earthworms in all sorts of vital processes in soils. Not surprisingly, he was widely ridiculed by the media of the time for his efforts in introducing what detractors called ‘the political worm’. Certainly the old man must have been crazy if he thought that worms were social beings. And yet, since Darwin’s time the centrality of earthworms to ecology has only been reinforced: worms’ actions create the structure of our soils and the conditions necessary for soil fertility and plant life. Biologist Scott Turner, in his book The extended organism, went as far as to show how the evolution of a soil layer that successfully drains and irrigates the landmasses on Earth depends on worms’ physiology: their original adaptation to life in water worked poorly as they ventured on land, and forced them to modify their environment to support their ill-adapted organs. The centrality of worms to ecology also rests on their eating of organic matter. Eating, though, has been often marginalized by a philosophy obsessed with freedom, heroism, and thought (the marginalization often proceeds along the same fault line that splits nature from politics). In my work with ecologists, however, eating was not marginalized, but instead featured as a keystone in the theories that my informants used. Over the last two centuries, ecologists developed a theoretical language as well as practical measuring apparatuses to deal with a world in which life everywhere is engaged in eating and being eaten. They started with early simplifications of a predator-prey world, but their models have become complex, today encompassing trophic systems and nets – and depending on growing computational power. Scientific descriptions and measures like those found in ecology textbooks offer important ways to imagine the world. But they focus on defining what nature is, true to the conceptual division of labor between politics and natural sciences. This is where my work separated from that of ecologists: I, too, was interested in worms. 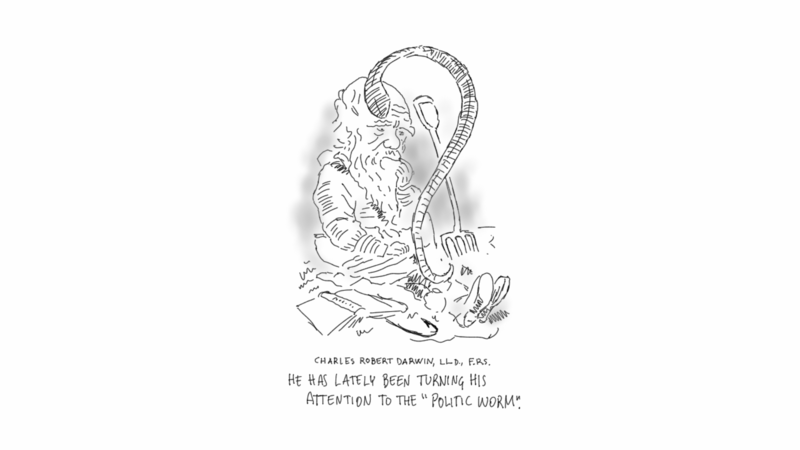 But, unlike the scientists I worked with, I was not interested in measuring and quantifying earthworms and their activities, but in how earthworms can challenge the way we do politics. I wanted to learn from them about how they are already engaged in politics otherwise, living together with scientists, and a host of incommensurable and radical others. By attending to earthworms as they chewed up rocks and defecated fertile soils I became less concerned with securing definitions about nature and more interested in the diversity of practices of living together that I encountered. The practices of living together I focused on were those that brought earthworms together with ecologists, naturalists, taxonomers, soil scientists, and ecotoxicologists. And as I followed their work, I learned that as much as their profession compels them to define nature, to do so they are always-already living together with worms: they engage in earthworm togetherness, as it were. But the kind of politics I began to see there, proved to not be exclusive to the ecologist’s scientific practices. So, I also took on vermicomposting – the recycling of food waste with worms to make compost – myself. 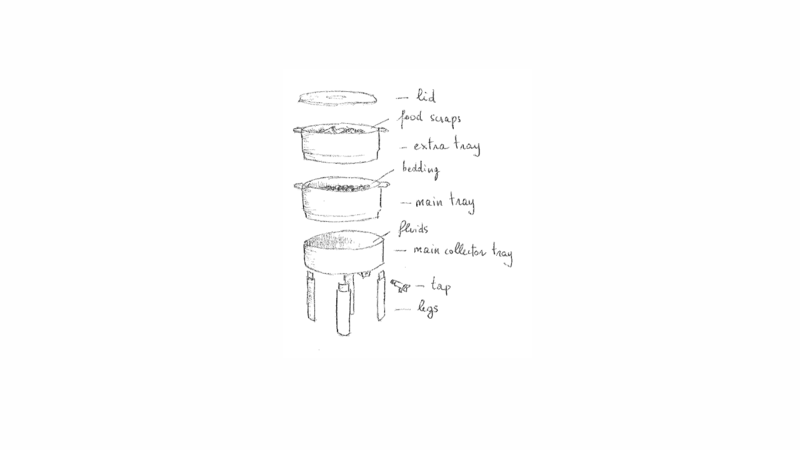 Like the worms in labs and collections, the worms in my bin taught me about living together, and they did so through eating and its metabolic relations. By engaging in the quotidian, practical activities of composting I learned that to turn food waste into soil agreement is not necessary. Composting is not really about rational choices and democratic consensus. Sure, you can see choice if you want: do I build my own bin, or do I buy one? Do I feed the worms egg shells, or do I put newspaper shreds? But as much as these decisions can be framed as rational and are clearly important to its success, composting is not made by them. Instead, it is the eating, decomposing, composting and rotting that goes on in the bin that runs the togetherness of compost. Crucially, this togetherness is not about forming consensus around a common good, but about the coexistence of many different worlds that are not merely in agreement but hold together and come apart in differently relational ways. What is relevant in the compost bin is not just one kind of eating, but the complex mixture of microbial activities that go on inside the guts of the worms, how these change the molecular structures of compounds that are found in the bin, and how these are then taken up by plant roots, or other organisms, and so on. This pushes us to attend to the many different ways in which we can come to know and to partake in practices of eating and being eaten. The living together of worms can serve as a reminder to Euro-American social scientists that there are no guidelines out there on how to live together well. Instead, politics, when understood as living together, calls for makeshift arrangements that are both radical and specific, as well as for experimenting with alternatives. If composting might work through certain standard passages, composting guides never give any final word, but rather suggest some possible alternatives to tinker with. The kind of politics that attending to earthworm lives makes apparent, then, is not one in which a common good is sought or achieved, but rather an asymmetric one that remains, notwithstanding the asymmetries, reciprocal and relational. This is a politics that does not resolve in a common, but in togetherness. 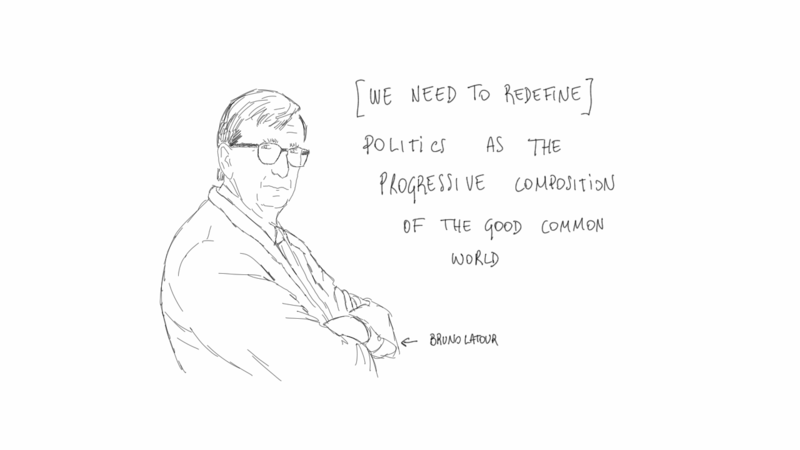 This politics is in tension with what Bruno Latour, the famous French philosopher and anthropologist of science, claims when he argues that we should “redefine politics as the progressive composition of the good common world” (Latour 2004). The path Latour lays out for us is, today, an increasingly widespread path to approaching nature. Academics and politicians alike are telling us that to combat unwanted, uncontrollable global forces we should include nature into of our political system. It is through this integration that we can face climate change and all sorts of environmental transformations. But the variegated and asymmetrical ‘living togethers’ that earthworms participate in is not contingent upon this kind of agreement. Central to the togetherness of earthworms are differences, which are not something to be brushed away or to be made to be similar, but rather something to be appreciated, and attended to. A brief example from one of my sites will help make this point clearer. One of the scientists I worked with was interested in studying earthworms’ impact on greenhouse gases. In her work she showed how earthworms contribute to emissions by helping organic matter to decay, a phenomenon she called global worming (eg. Lubbers et al. 2012). But, while her work consisted in quantifying emissions, and searching for statistically convincing data that could help bring this effect to the attention of the climate change science-policy community, it did not stop there. Instead, she worked to describe the minute contingencies of the processes involved: certain functional groups of worms are more important than others, some climates and farming practices are more prone to stimulate the negative impact of worms than others, seasonal dynamics will transform the role of earthworms in some soils, specific details of standards in fertilizer use, farming, and dealing with crops and land management will also have different impacts, and so on. These details are the differences that are crucial to the togetherness earthworms can teach us, and that, I argue, we need to learn to appreciate – a challenge in a time so focused on finding out generalities rather than specificities. 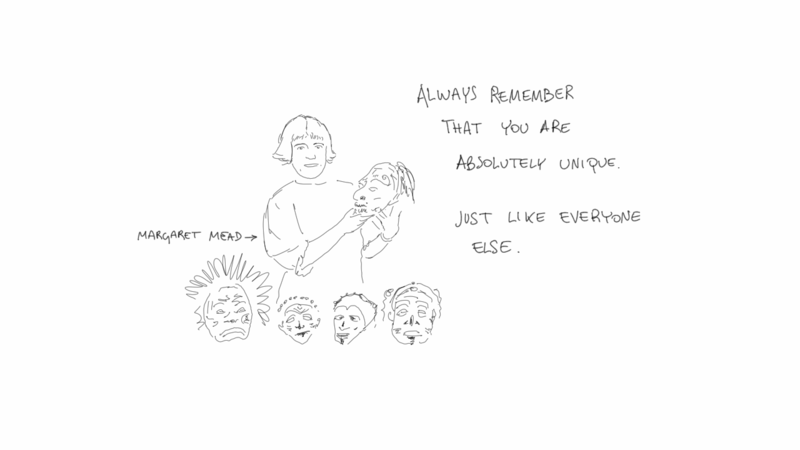 This appreciation of differences, again, is something for which there are no guidelines. Studying more won’t tell us how to better do this — how to better stay with the differences. It will probably help us in understanding different aspects in other novel ways, but it won’t tell us how things ‘really’ should be. For how things should be is something that doesn’t happen once and for all but must be continually experimented and tinkered with. Over and over again. A science-fiction reference does well in concluding this argument: “The worm is the spice, the spice is the worm”; a quote from Dune, a 1984 adaptation for the silver screen of Frank Herbert’s 1965 novel. In the world in which the movie takes place, giant sandworms on the planet Arrakis are involved in the biogeoecology of the spice mélange, which is exclusively mined there. Control of the spice means control of the universe, since the spice is essential to space travel. 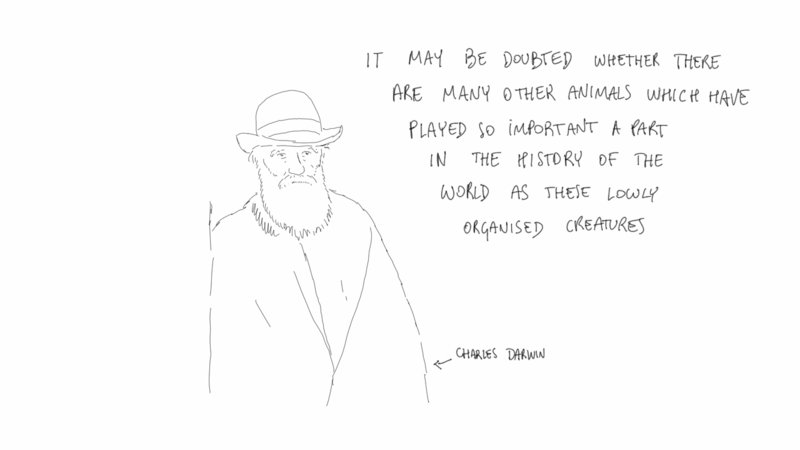 The ecological understanding of interconnectedness that dovetails this quote – and its whole fictional universe – is the kind of togetherness I suggest. This is a togetherness that is not constrained by the limits of closed systems and of the categories that Euro-Americans commonly use to think about the world. It is instead a togetherness enlarged by the imaginative openings that worms, like anthropology, can offer us. Latour, Bruno. 2004. 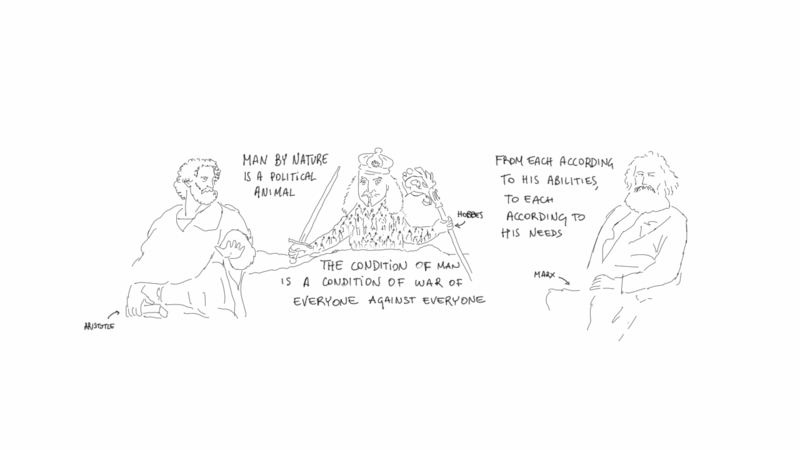 Politics of nature: how to bring the sciences into democracy. Harvard University Press. Lubbers I.M., K.J. Van Groenigen, S.J. Fonte, J. Six, L. Brussaard and J.W. Van Groenigen. 2012. Greenhouse gas emissions from soils increased by earthworms. Nature Climate Change. Filippo Bertoni is a postdoctoral fellow in the Aarhus University Research on the Anthropocene, an interdisciplinary and experimental project led by Anna Tsing and Nils Bubandt focusing on disturbed landscapes and “the arts of living in a damaged planet.” His current work explores the mining area of Río Tinto and the activities of a team of astrobiologists who study its underground microbial ecosystems as analogs for Mars. Filippo’s interest in how landscape is metabolized builds on his doctoral research where he worked with Annemarie Mol’s research team to learn about “The Eating Body in Western Theory and Practice.” Papers he has published as part of this project can be found here. 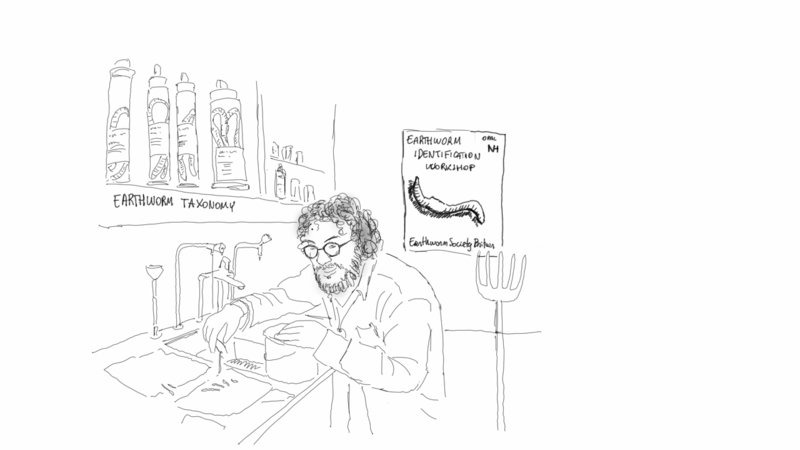 Bertoni F. Earthly togetherness: making a case for living with worms. Somatosphere. 2016. Available at: http://somatosphere.net/2016/earthly-togetherness-making-a-case-for-living-with-worms.html/. Accessed April 26, 2019. Bertoni, Filippo. 2016. Earthly togetherness: making a case for living with worms. Somatosphere. http://somatosphere.net/2016/earthly-togetherness-making-a-case-for-living-with-worms.html/ (accessed April 26, 2019).